Dawn became determined to cook delicious gluten-free and dairy-free foods when both she and her baby needed to be on a special diet. 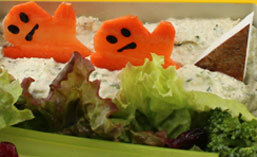 At first the diet felt restrictive. But Dawn soon realized there were many delicious foods available, so she began to re-create her favorite foods with new ingredients. Dawn’s lifelong passion for art found expression in her new-found love of cooking when she adopted the Japanese tradition of creating whimsical bento lunches for her daughters each morning. Now her kids have fun lunches, her husband enjoys great dinners, and Dawn eats homemade ice cream every night. 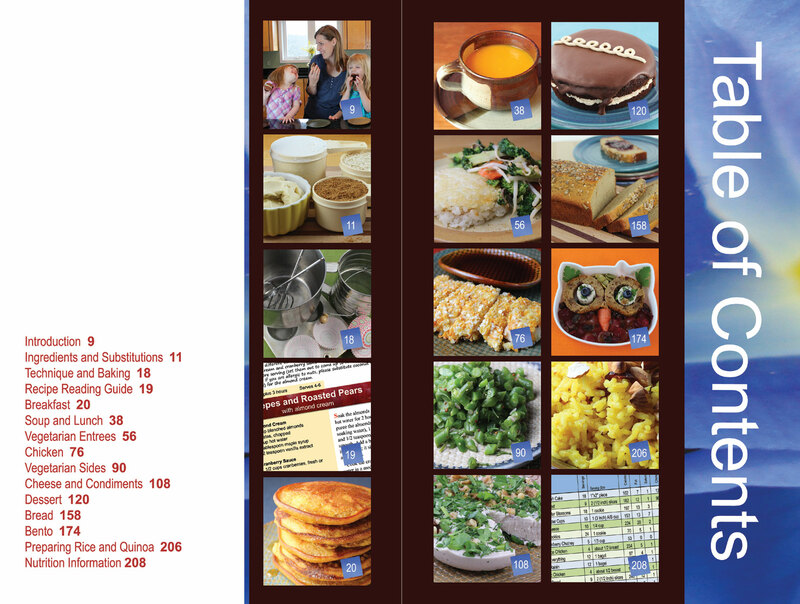 The recipes all contain photos of the finished recipe. 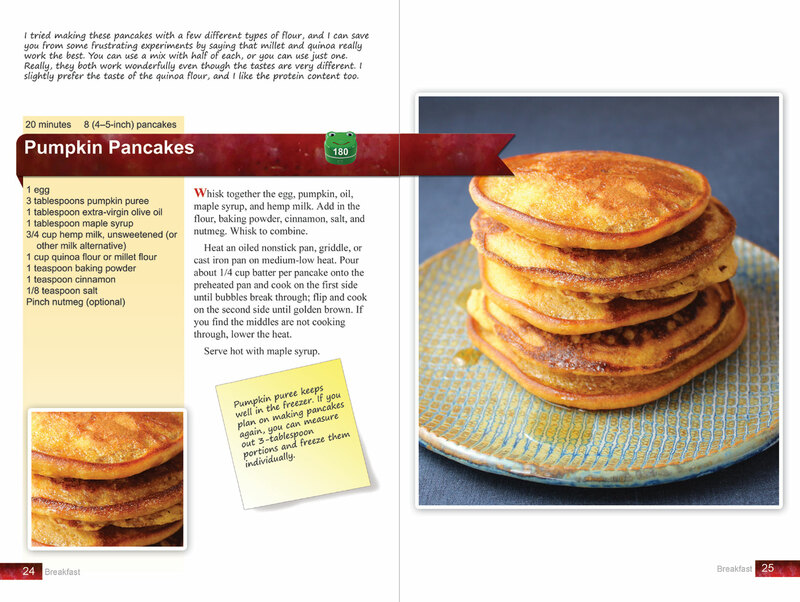 Some, like this one, have a large photo, while others are on the same page as the recipe. 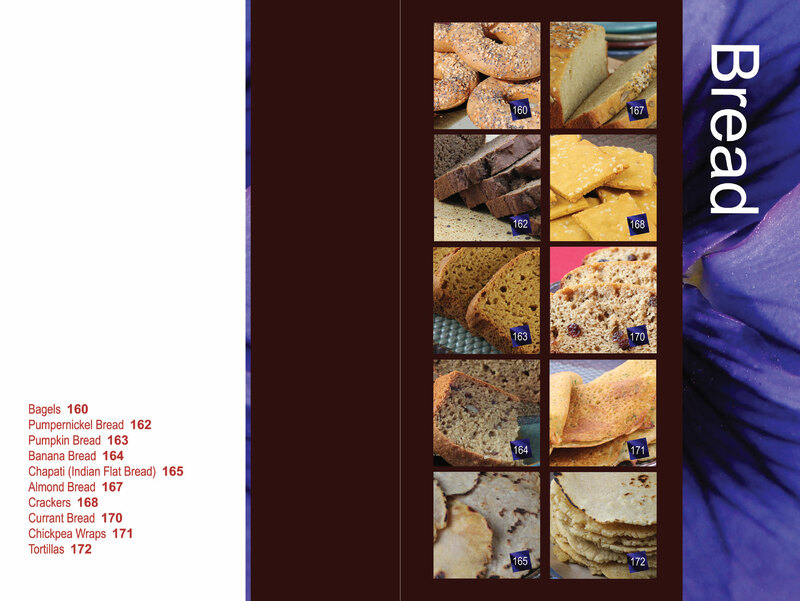 Each chapter has its own table of contents, this is the “Bread” chapter. 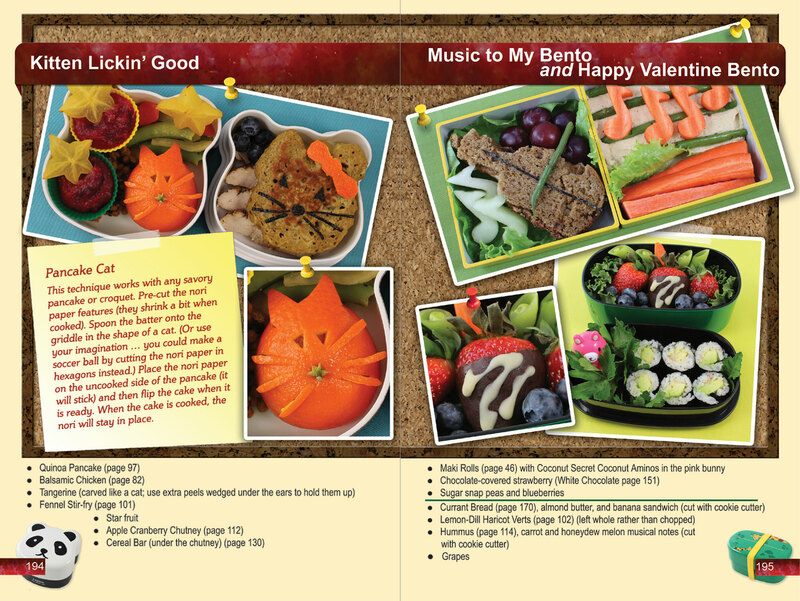 This is a sample page from the Bento chapter, which features over 30 fun lunches for kids created from the recipes in the rest of the book. 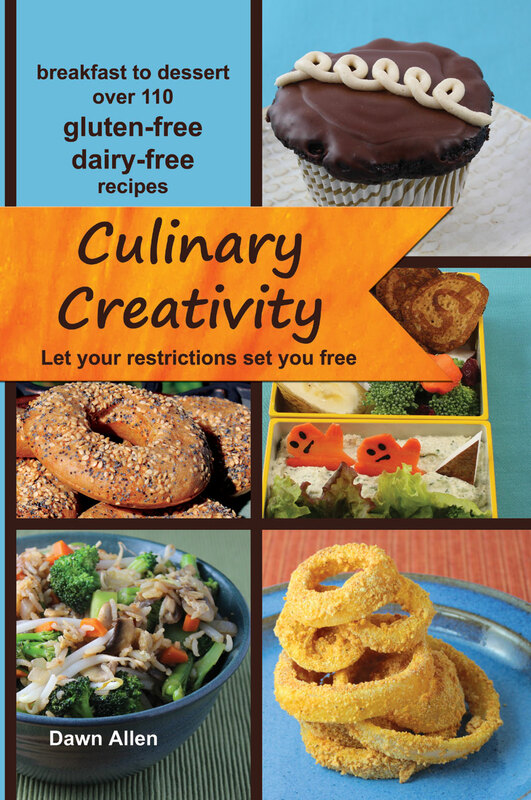 Still wondering if this book fits your diet?